There was a time, in those heady craft beer days of yore, when seemingly every American brewery was producing a “wheat beer.” Those crisp but unfiltered beers largely fell into the “American pale wheat ale” category, and were consummate brewpub staples, along with the likes of amber ale, American pale ales and brown ales. You couldn’t visit a Midwestern brewpub in the early 2000s without finding a “wheat ale” on tap, probably served with a lemon wedge plunked into it. 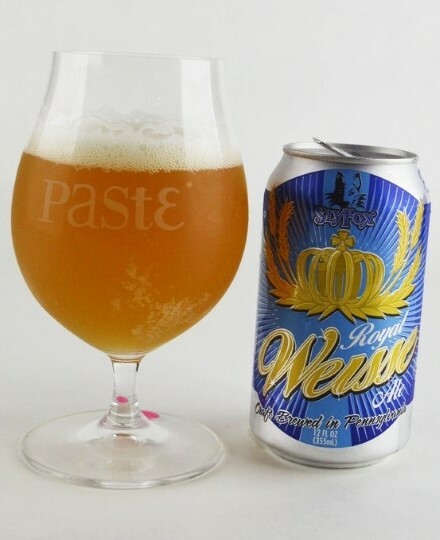 Today, as with so many other styles, the use of wheat in craft brewing has evolved. The American pale wheat ale is still a valid style, typified by the likes of Boulevard Unfiltered Wheat or Bell’s Oberon, but it’s not nearly as universal as it once was. German-style hefeweizens have come on strong in American brewing, partially supplanting beers that were once made with cleaner fermenting American ale yeast. Fruited wheats have long been popular, as brewers use the relatively mild flavor profile of American pale wheat ales as a blank canvas to work with raspberry, blueberry, mango, watermelon and dozens of others. Hoppy wheats have grown in popularity, sometimes blurring the line between true wheat ales and wheated session IPAs. And of course, wheat beers have been hugely affected by the rise of sour beer styles in America, as the vintage German beer style of Berliner weisse received a popular American makeover typified by strongly tart beers. - As explained above, this is a tasting of American pale wheat ales/German hefeweizens. Belgian wits were not allowed, after they overperformed in the previous wheat beer tasting. Sour beer styles such as Berliner weisse were not allowed. Fruited examples were allowed, as were “hoppy wheats.” The cut-off: If the beer is labeled as “IPA,” it can’t be in this tasting. The alcohol limit was set at 7% ABV. By and large, it’s safe to say that we probably gravitated more toward classic-style wheat beers in this tasting than examples with bombastic fruit flavors or spices. There were some entries in here that had the kind of syrupy, artificially sweet fruit profiles you’ve no doubt experienced yourself in certain wheat beers. With that said, there were also some fine hefeweizens and pale wheats in this portion of the ranking, and we’d be happy to down a few on a warm spring day on the patio. All in all, this tasting delivered beer that was on average quite solid if unremarkable—very few that were genuinely gross or objectionable. As always, the beers in the field are simply presented below in alphabetical order, which means they are not ranked. I repeat: These beers are not ranked. 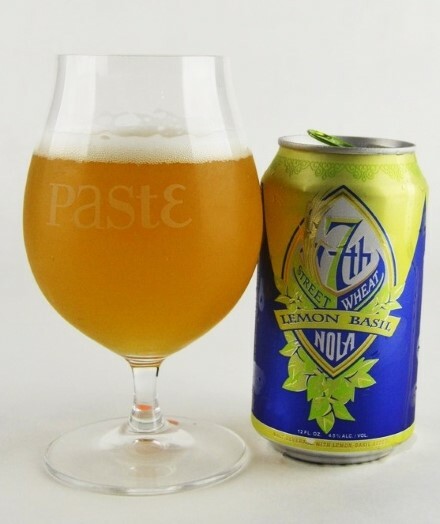 The verdict: A good illustration of how difficult it can be to identify specific spice notes when tasting blind, NOLA’s 7th Street Wheat obviously has some kind of spice adjunct on the nose, but you probably wouldn’t identify it as basil without some kind of prompting. In truth, several of the tasters’ minds drifted to ginger, likely due to the fact that we’d tasted several other ginger wheats over the course of this tasting. This beer, however, is nicely executed, with a subtlety and balance to the spicing that doesn’t interfere with its drinkability. Light, bready and crisp, it packs a light, lemon citrus tang and moderately assertive basil spiciness. Refreshing on its own, it would probably be a great seafood accompaniment in a pairing. It’s a solid, easy drinking wheat beer with an additional x-factor to set it apart. The verdict: As with any predominantly German style, it’s always interesting to see which of the German breweries rise out of the pack and assert themselves. 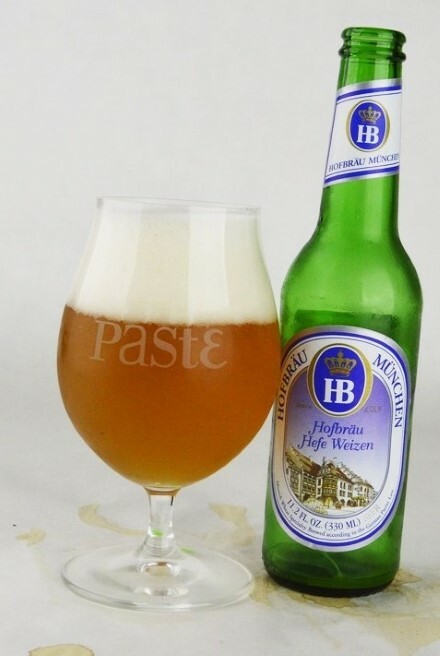 Hofbräu certainly doesn’t have the unassailable pedigree here possessed by the likes of Weihenstephaner, but they’re making an interesting hefeweizen that is significantly different in profile from some of the other German examples. It doesn’t have the big banana esters you find in almost all the other German examples; rather it’s more wheat malt-forward, with some floral hops and an additional hoppy/green quality that is actually on the dank side. Light clovey character reminds you that this is still a hefe, but it’s off the beaten path as far as the German examples of this style are concerned. With a smooth, creamy mouthfeel, it goes down easy but doesn’t feel insubstantial. 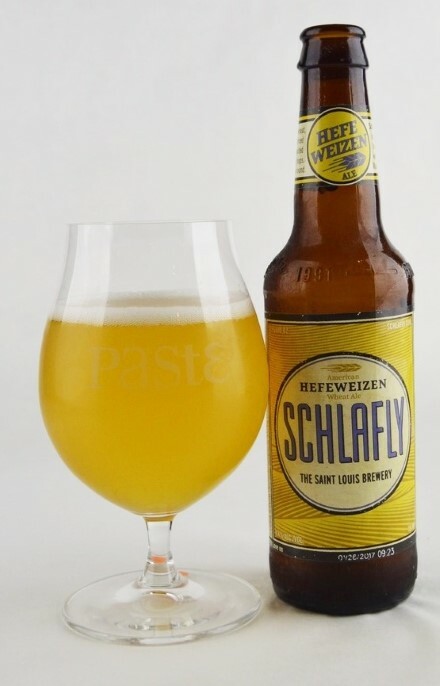 The verdict: Sly Fox refers to this classic beer (one of their longtime year-rounders) as a Bavarian-style hefe, but it strikes us as more of an Americanized example, in a good way. All tasters agreed that this was very much an example of “bready” flavors in a wheat beer, that combination of yeasty and grainy quality that reminds one of fresh bread crust. There’s some accompanying lemon citrus, but in general this isn’t terribly complex beer and it’s not trying to wow you with grandiose flavors. It earns points for being very clean and crisp, with no flaws—a better example of that classic brewpub wheat ale than you would likely have found in the ‘90s. It’s a rock-solid version of a classic style. The verdict: We had two different wheat beers from Brew Gentlemen, a brewery we’ve been hoping to sample again ever since they came in #2 out of 247 IPAs in our last IPA ranking, and predictably both of their entries are very tasty hop bombs. This beer would obviously qualify as “session IPA” if they chose to label it as such, but the brewery calls it an American pale wheat ale, and so we’ll treat it as such. This one is single-hopped with Galaxy, which leads to a massively citrusy, juicy nose in particular, redolent with tangerine and pineapple. It’s an incredibly inviting aromatic bouquet that most breweries would kill to get on their session IPA, but on the palate you find a beer that is drier and a bit less juicy than expected. Orange juicy flavors are predominant, but the wheat malt is very soft, with no hop-derived bitterness. It drinks extremely easily, but could perhaps have used a bit more malt body or residual sweetness to feel more substantial. Still, that nose is an amazing thing. The verdict: Here’s a hefe that seems to split the difference between the American and German interpretations of the style, and does so quite successfully. There’s plenty of wheat malt-driven flavor, with bread crust and a bit of more toasted malt, which gives it a hint of sweetness. Lemon citrus is light, and makes good bedfellows with some light banana esters, but nothing too over the top. The creamy, silky mouthfeel is one thing that sets Hornet’s Nest apart—we tasted a good number of beers in this lineup with similar flavors, but few of them had such a pleasant texture. In a style like hefeweizen, those little things go a long way. 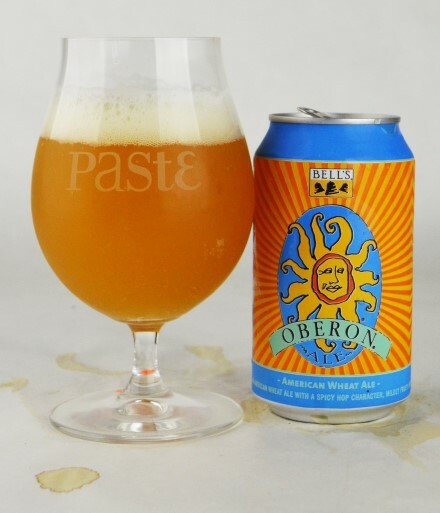 The verdict: An enormously popular seasonal beer throughout the Midwest, Oberon has long been treated by its legions of devotees in Michigan as an institution. Our own opinion of it has tended to vary from year to year—sometimes it has struck us as a bit too sweet, and oddly fruity for an American pale wheat ale, but this year we’re back on the Oberon train. It’s definitely off-dry, with more body than some of the other, similar beers on the table, and there’s a light current of orangey citrus and sweeter, pineapple-like fruitiness running through it. But at the same time, this year we’re also getting a bit more of Oberon’s hop character than in the past, which helps act as a balancing agent. The hops impart a bit of herbal, spicy buzz that adds complexity and just a touch of drying bitterness that goes a long way. All in all this might be the best that Oberon has ever tasted, so good on ya, Bell’s. The verdict: Unsurprisingly, there were plenty of fruited wheat beers in this tasting, and lots of raspberry ones in particular. Some of those we found distractingly artificial or cloyingly sweet, which pretty much immediately removes them from contention. This beer, on the other hand, made with both red and black raspberries along with fresh lemongrass, is more enjoyably authentic. From the color alone, there’s no way you’re going to be able to miss that this beer is fruited, but the two styles of raspberry give it a bit of much-needed complexity. 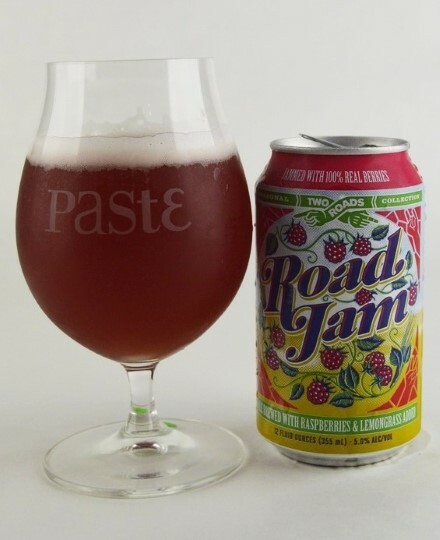 On the nose, the beer’s name is fitting—it is indeed jammy. “Boysenberry jam,” begins one of the tasting sheets. “Delivers on fruit while staying semi-dry.” All in all, it strikes a good balance between the overt fruitiness that its target demographic presumably desires, and the drinkability that comes with a dry finish. That puts it ahead of the curve, as far as fruited, non-tart wheat ales are concerned. 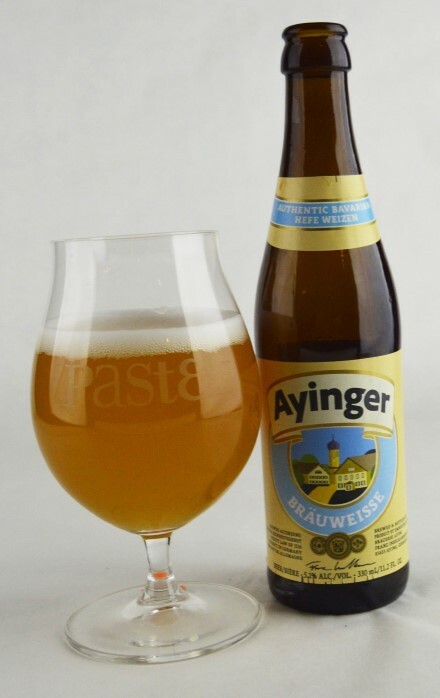 The verdict: Another one of the classic German hefes that comes to us from across the pond, Ayinger’s wheat beer does not skimp on flavor. Bubblegum fruitiness sets it apart on the nose, chased by clovey spice and a smallish banana ester, but the bubblegum is likely what you’ll remember. Unlike some of the German entries that didn’t score as well, this one doesn’t have the musty note that some of these beers get after a long trip to the U.S. and subsequent time sitting on store shelves under fluorescent lights. Doughy malt flavors combine with a bit of peppery spice on the palate, and hard-to-place fruity esters that are a touch exotic in profile. Perhaps a tad maltier than some of the other American takes on hefeweizen, it still drinks easy. The verdict: Okay, bear with us on this one: When is the last time you had really, really fresh Widmer Hefeweizen? The better question might be, have you ever had really fresh Widmer Hefeweizen? This flagship beer has been around since 1986, but the fact that it’s so accessible means that few of us have ever really had it at the peak of its flavor, and it turns out that can make quite a difference. This is something we now know, because the crafty folks at Widmer went out of their way to send “SUPER FRESH HEFEWEIZEN” (their emphasis) to Paste via crowler rather than cans or bottles, and the gambit totally paid off, because this beer when very fresh is a pretty lovely thing. Very bready, and redolent in yeasty, bread crusty flavors, it’s supported by a squeeze of lemon citrus and the very light ghost of banana, with excellent balance. There is malt complexity here, at least for drinkers who enjoy dry, grainy, bready wheat beers, but it would be easy to overlook. Don’t sleep on this old-school beer, if you have a way of getting it at the peak of its freshness. Also: We somehow misplaced the photo we took of this one. Whoops. The verdict: Holy banana bread, this beer is bringing those banana esters with a vengeance. Hefe fans take note: If your taste in wheat beers is all about banana, then you will want to seek this one out. It’s a classic German-style hefe otherwise, with supporting malt flavors that are both grainy and bready, but the calling card is very ripe, moderately sweet banana. It has a bit more residual sugar than some of the other American hefes, which gives the banana flavors the character of a fully ripened, sweet dessert banana with plenty of brown spots—personally, that’s exactly how I like my bananas. It makes this beer slightly more decadent than some of the others, while being only 4.5% ABV, which means it’s packing a ton of flavor into a relatively small frame. This one is small but mighty. The verdict: “Blonde” may appear on the label, but this beer is a Bavarian-style hefe, and a pretty good American take on the style at that. Weihenstephaner yeast gives it some of the banana and clove ester character that you would expect, but it’s not as pronounced as it would be in most German-made examples of the style. This beer, rather, reins in strength of the yeast-derived aromatics and leans a bit more on the wheat malt. Crisp, grainy flavors are supported by lemon citrus (I feel like I’ve already said this a lot in these reviews, but it’s true) and light banana. Very easy drinking, this beer is a definite quaffer. Not complicated; it settles into an ideal middle ground between the influences of German hefeweizen and American pale wheat. The verdict: This unique new seasonal wheat from SweetWater hinges on two key ingredients: Lemondrop hops and fresh lemongrass, which combine to form a profile that is significantly different than anything else in the tasting. 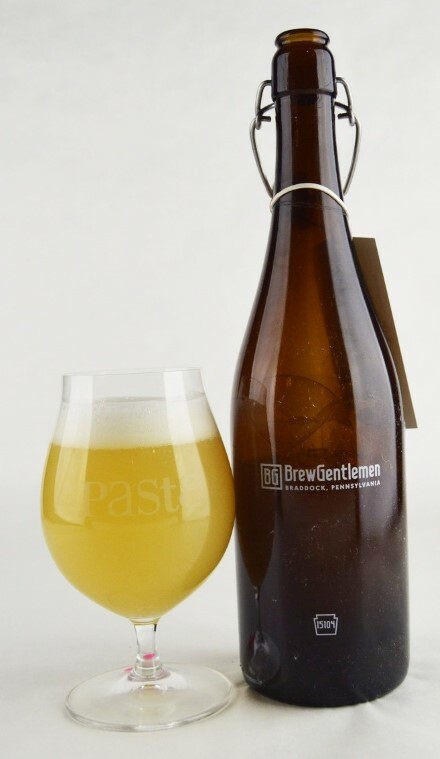 This isn’t to say we didn’t have other citrusy or hop-forward wheat beers here, such as the ones from Brew Gentlemen, but this beer maintains its “wheat ale” quality while simultaneously giving you a gentle hop and herbal profile suitable to say, an American pale ale. 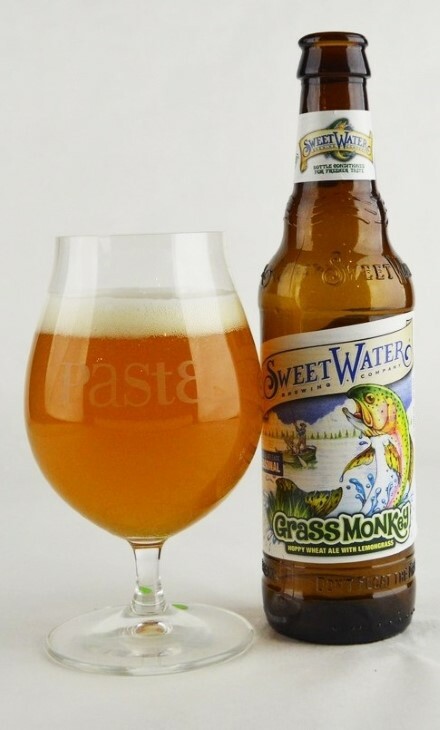 On the nose, it’s both citrus forward and rather dank, with a grassy, green quality that made significantly more sense once the tasters saw it was a SweetWater product. The lemongrass contributes both of the disparate flavors in its name, but overall the most impressive aspect is the fact that the hop/grass addition doesn’t completely overshadow the rest of the beer—it only hints to you that there’s something unusual going on. Well conceived, well executed. The verdict: The name is raspberry “hefe,” but this beer is better described as a great example of the classic “raspberry wheat” brewpub staple, closer to the American pale wheat style. Fresh, jammy raspberry explodes on the nose—really a beautiful essence of raspberry, and surprising in a blind tasting, given that unlike some of the other raspberry beers, this one doesn’t have quite the same pinkish hue. Also surprising is the fact that the raspberry presence doesn’t carry over nearly as strongly on the palate. They managed to make a beer here with a really lovely raspberry nose, and a hint of tart raspberry flavor, that then dries out immediately, within a few seconds of taking a sip. It’s likely that the lower ABV helps here, but what it gives you is the best of both worlds—decadent aroma, but without all the cloying sugar or artificiality on the palate. For that reason, it’s absurdly drinkable. This raspberry beer surely won’t be to everyone’s taste, as some drinkers will want much more residual sweetness and pronounced raspberry flavor, but to us this is simply a more elegant version of a classic brewpub style. 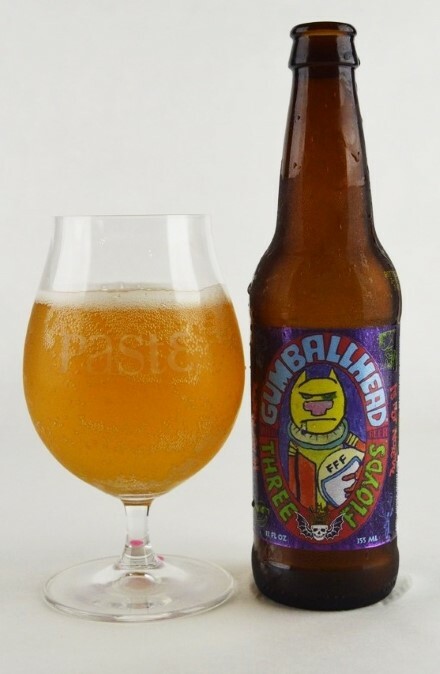 The verdict: Gumballhead may be the only wheat beer with a bigger cult following in the Midwest than Bell’s Oberon, but then again, most beers from Three Floyds fall into that same categorization. This has long been the gold medal example of “hoppy American wheat” as a separate entity from American pale ale or session IPA, and to their credit, Three Floyds does rein in the hop rate on this beer compared to the likes of Alpha King or Zombie Dust. Floral and orange blossomy hops (one taster insisted it was more of a stone fruit character) are quite nice on the nose, which leads into a fairly neutral profile of lightly bready malt. It is, dare we say, fairly balanced, with orangey citrus hops on the palate that blend with the wheat malt to give it just a touch of Creamsicle/Dreamsicle whimsy. This might be the most subtle of all the hop-forward beers from Three Floyds, but you get the sense they hit exactly what they were going for. The verdict: You knew this one would end up somewhere near the top, right? 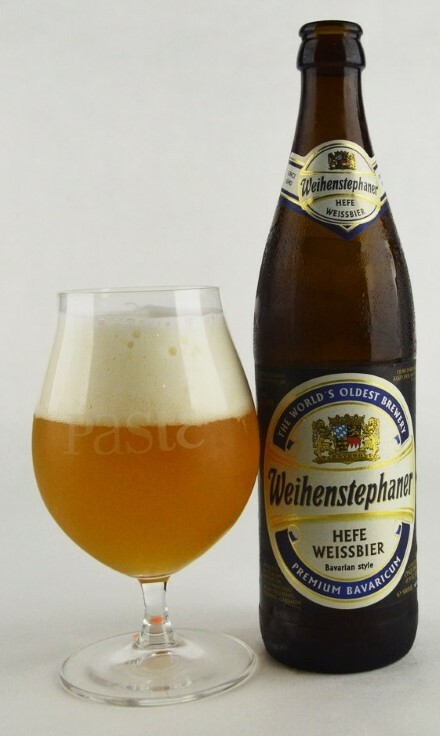 THE classic German hefeweizen, from the oldest brewery in the world, it’s Weihenstephaner. The issue with this beer, in the U.S., is hoping that the stuff you find is on the fresher side, rather than something that’s been sitting in a hot warehouse. That may have knocked this bottle down just a tad when all is said and done, but regardless, it’s still the highest rated beer on the table that was actually produced in Germany. The hefe yeast note on the nose is immediately massive—there’s no doubt the second you smell it as to where it was made. Clovey spice leads the way, rather than banana, with tons of bready wheat flavors. “German for sure,” reads one tasting sheet. “Huge yeast character, yummy.” It tastes like a beer that someone has been making from the same recipe for decades, which is only fitting. 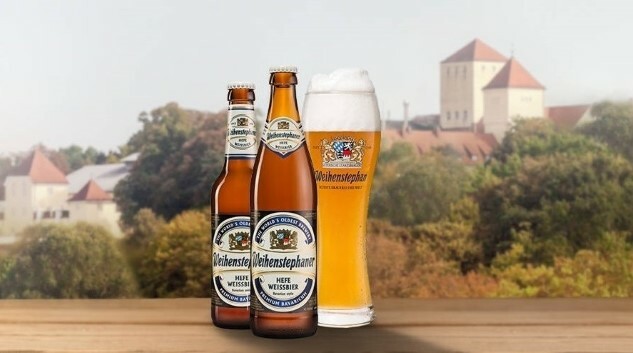 Weihenstephaner is like an old man playing chess in the park who demolishes all the young whippersnappers as they come along and foolishly challenge him to a game. The verdict: Among the top hefeweizens, it’s interesting to note the specific flavor notes that stand out as signatures of each. 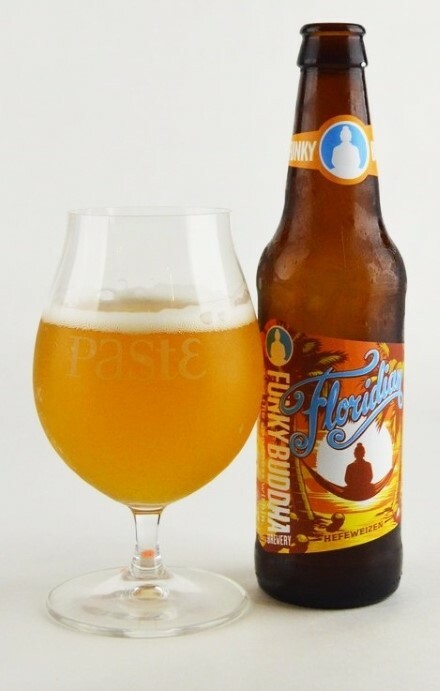 For example, where the Weihenstephaner is more strongly redolent in the clove-like phenols, Funky Budda’s Floridian leans the other direction into the banana-esque esters. The overall character is a bit “banana bread”—probably not quite as much as the earlier mentioned Brew Kettle beer, but in the same vein. A touch of honey-like sweetness makes a pleasant counterpoint to bready malt, which reminds one of say, an English muffin at breakfast. Some bubblegum fruitiness adds complexity, in what is just a superior American hefeweizen (in the German style) all around. An excellent beer. 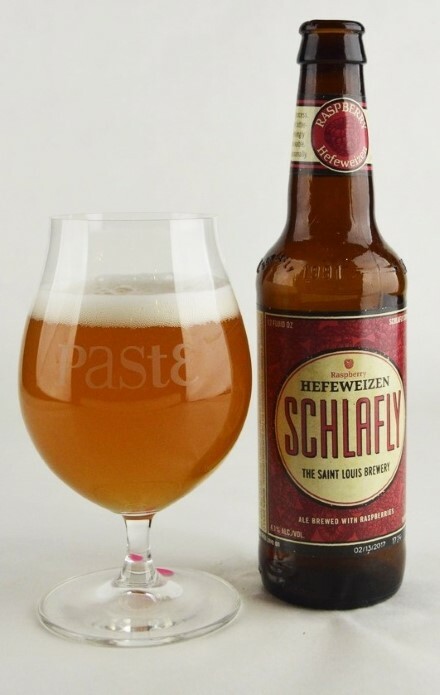 The verdict: So yeah, it will quickly become apparent here at the end that St. Louis as a whole performed extremely well in the arena of wheat beers, but neither of the entries from Schlafly that performed so well are truly traditional in profile. This beer is labeled as hefeweizen, but purists would no doubt object to that categorization—when you inhale the aroma, the first thing you notice instead are floral and spicy noble hops. 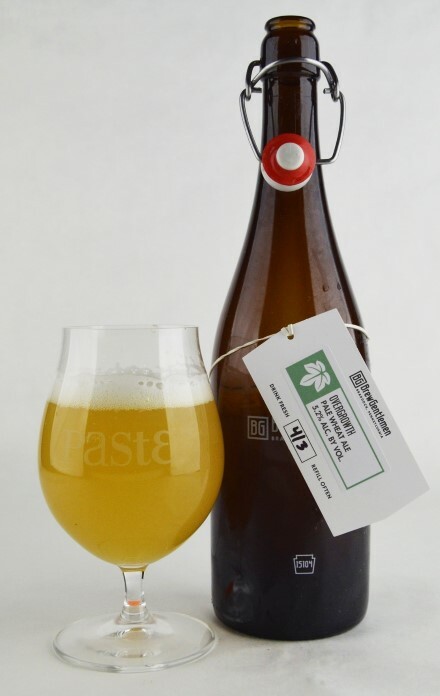 In effect, what it comes off as is a rather beautiful marriage between wheat beer and German-style helles lager or pilsner, with a crisp, grainy malt profile and plenty of balancing floral hops. In short, it’s sort of like the hop-appreciator’s wheat beer, but at the same time it’s quite distinct from the Three Floyds or Brew Gentlemen offerings, because it’s not smacking you with citrusy American hop varietals. It’s just weird enough to be completely unique in this tasting, and we dig that. The verdict: If you want a pale wheat ale that you’d swear was a session IPA, just call Brew Gentlemen. This beer is bigger and fuller than the equally hoppy Tiny Tross, and hopped with Mosaic and Nelson Sauvin instead of Galaxy. As a result, it’s more complex on the nose; less purely citrusy and more a melange of tropical fruit and dank, resinous notes that make it easy to imagine why they named it “Overgrowth.” Like the Tiny Tross, bitterness is quite low and the mouthfeel is quite soft, but it still has more bitterness and structure than the smaller, 4.2% ABV beer. On the palate, the beer is juicy and tropical, with big pineapple-type fruitiness, along with green, grassy flavors. The wheat malt is in there somewhere, but this is 100% a hop showcase—once again, we’re fine with this as long as they’re choosing to market it as “American pale wheat” and not using the words “IPA” anywhere in the marketing copy. It’s very drinkable, intensely hoppy but soft and approachable; everything you’d expect in modern, cloudy, hop-forward beer styles. The verdict: This is one of those beers we never seem to be able to praise enough. As we’ve written about in previous tastings—pilsner, marzen and the last time we tasted wheat beers—we have yet to encounter any American brewery that consistently brews classic German styles as cleanly and superbly as St. Louis’ Urban Chestnut. This is just what these guys do best, and it’s well past time that everyone else shared our esteem. 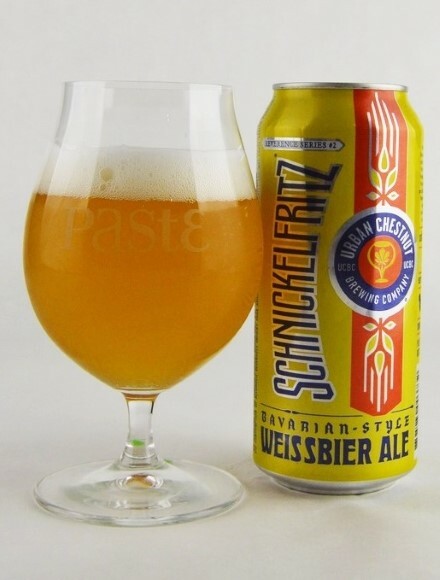 Schnickelfritz is a prototypical German hefeweizen that differentiates itself by being just a bit cleaner, crisper and brighter than almost all the other American examples. Banana and clove are perfectly in harmony and balance on the nose, in a way that you couldn’t mistake for any other beer style. Crisp, grainy malt is fairly unobtrusive, and there’s a slight, almost vanilla-like sweetness rounding everything out. In our eyes, this is more or less perfection. The verdict: Okay, well now we know why many critics and fans have called this the best American-made hefeweizen on the market. Live Oak is one of those breweries that has been building hype in Texas for years, and I’ve been hearing about them nearly as long, but this is their first appearance in a Paste tasting. 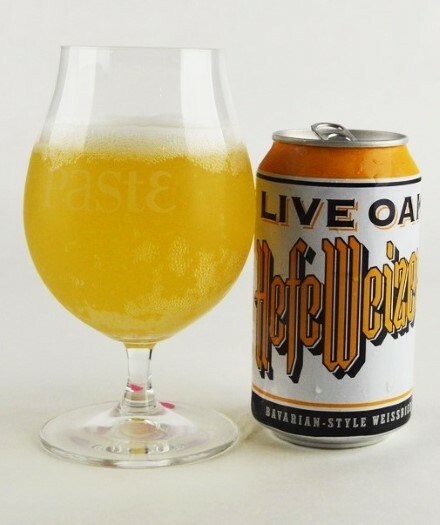 Suffice to say, it looks like they could form a terrifying hurdle alongside Urban Chestnut for any upcoming tastings of German beer styles, because Live Oak Hefeweizen is the truth. In fact, of all the other beers in the tasting, the one it reminds you of the most is the Weihenstephaner. It’s very authentically German on the nose—you would almost certainly think it was imported, rather than American, thanks to the pronounced, nuanced clove phenol in particular, and a touch of bubblegum fruitiness. Beyond that, banana bread and spice assert themselves in a gentle way, blending with a creamy, bready malt backbone. 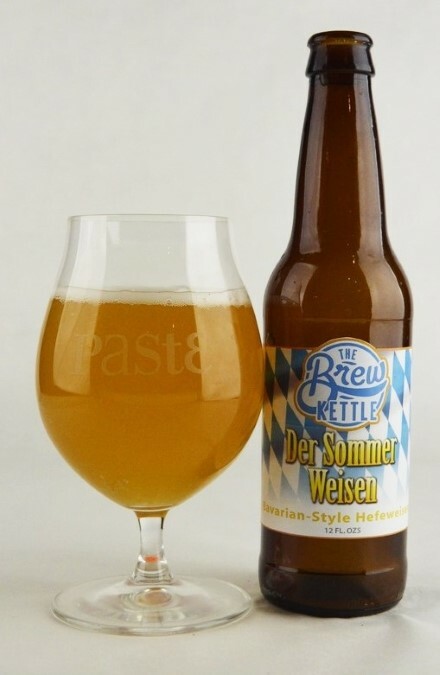 It’s exactly what you would describe if someone was asking you to tell them what the style of hefeweizen was all bout. It’s a spectacular brew, and it’s our #1 wheat beer. Jim Vorel is a Paste staff writer and resident beer guru. You can follow him on Twitter for much more craft beer coverage.